UFO SIGHTINGS DAILY: 2 Mile UFO Seen Over Volcano In Mexico On Aug 16, 2016, Photos, UFO Sighting News. 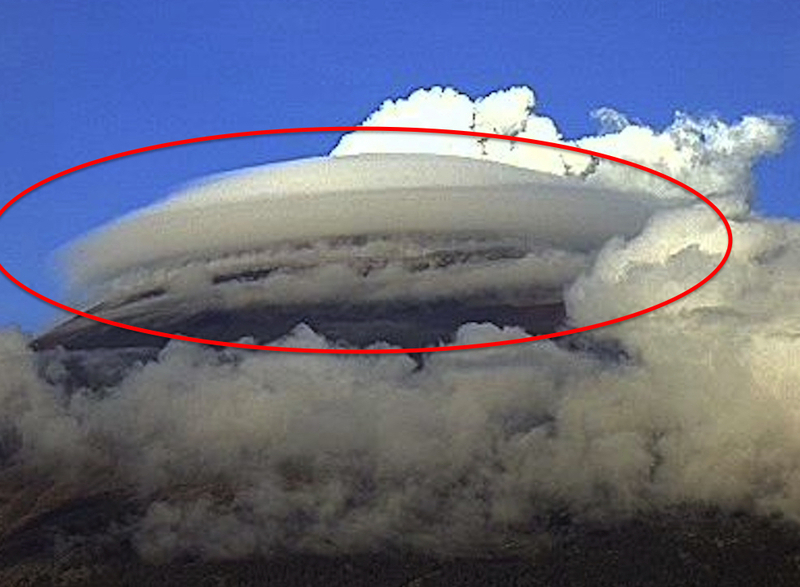 2 Mile UFO Seen Over Volcano In Mexico On Aug 16, 2016, Photos, UFO Sighting News. I caught this UFO sitting over the mouth of the volcano last night. Its shape is perfect and its size is 1.5-2 miles across. 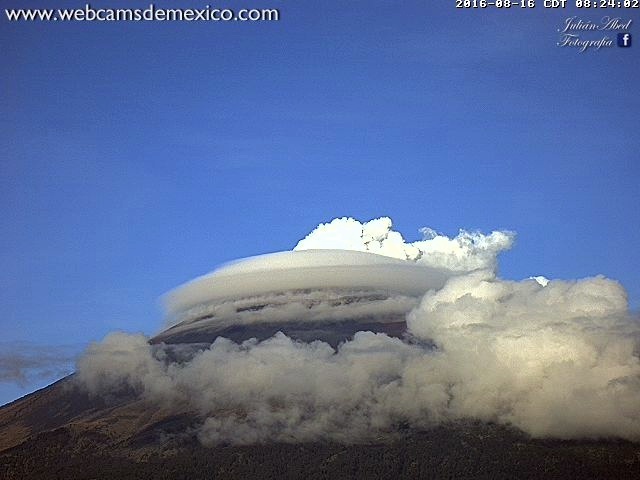 UFOs are often seen near this particular volcano in Mexico. The UFO is making its own cloud cloak, so as not to frighting anyone that sees it.